2 Bdrm Top flr Flat. Hall. Lounge. Kitch. 2 Bdrms. Bathrm (CT band - B). Garden. Price over £140,000 Entry by arr. Viewing contact solicitors. (EPC band - D). WELL APPOINTED LOUNGE WITH WINDOW OVERLOOKING THE FRONT OF THE PROPERTY FULLY FITTED KITCHEN TWO GOOD SIZED DOUBLE BEDROOMS BATHROOM DOUBLE GLAZING GAS CENTRAL HEATING SECURITY ENTRY TELEPHONE SYSTEM SHARED DRYING GREEN AND EXCLUSIVE ALLOTMENT GARDEN EXCLUSIVE LANDING CUPBOARD EPC "D"
We offer for sale this extremely spacious two bedroomed top floor flat situated in a popular street within the Dyce area of the city. 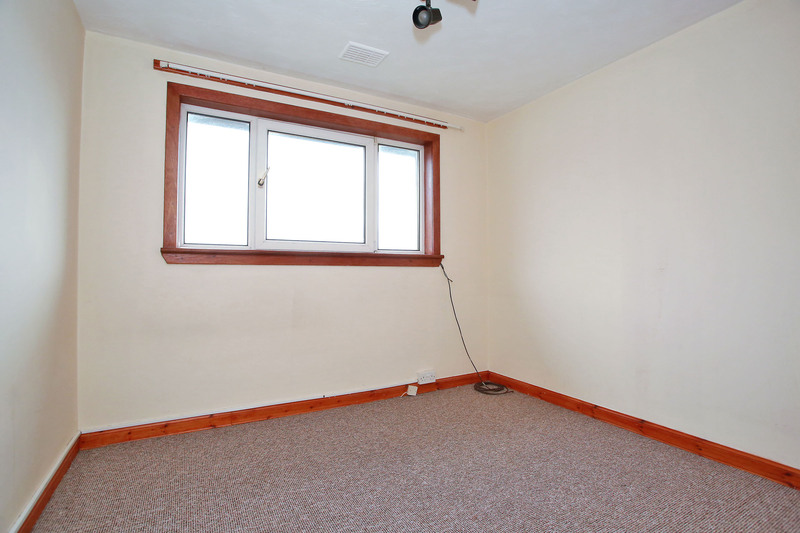 The accommodation comprises an entrance hall with access to a partially floored loft space with ladder, a well proportioned lounge with window overlooking the front of the property. 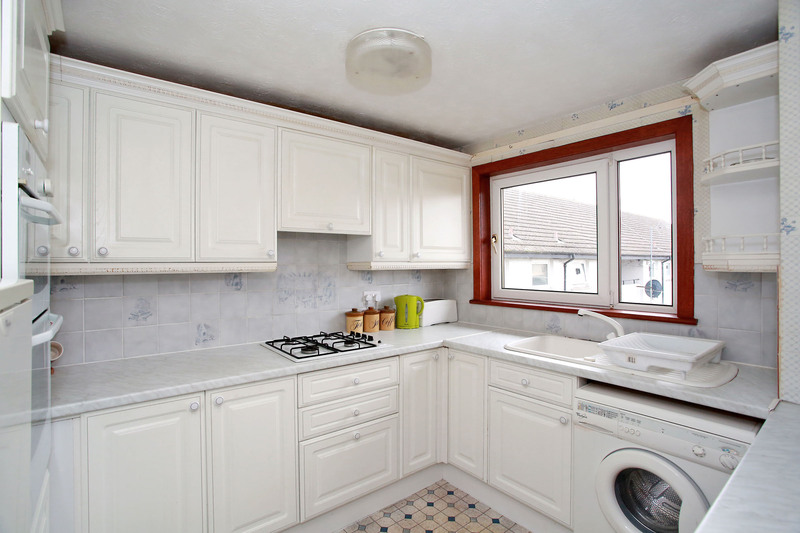 The kitchen is well fitted with wall and base units and will be sold with kitchen appliances which include gas hob, double oven, washing machine and fridge freezer. There are two bedrooms, both of generous size and a bathroom with a three piece white suite completes the accommodation. 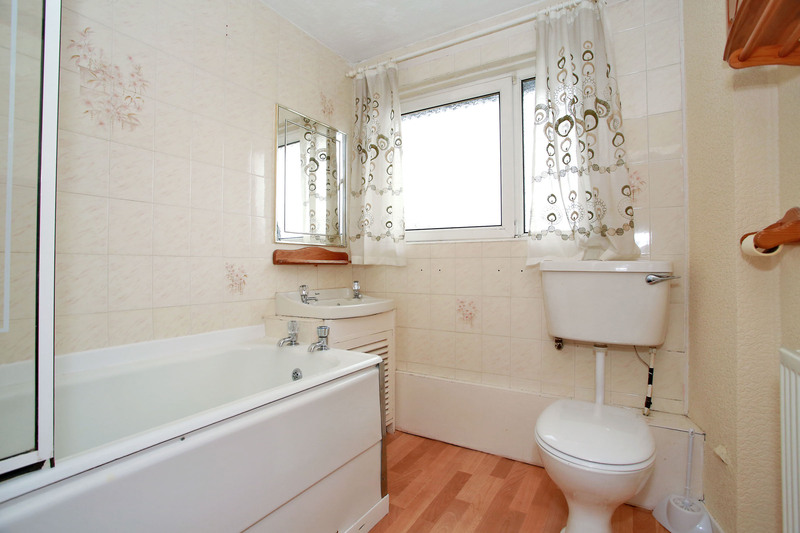 Features include full double glazing, gas central heating and a security entry telephone system. All fitted carpets, blinds and light fittings will be included in the sale price. 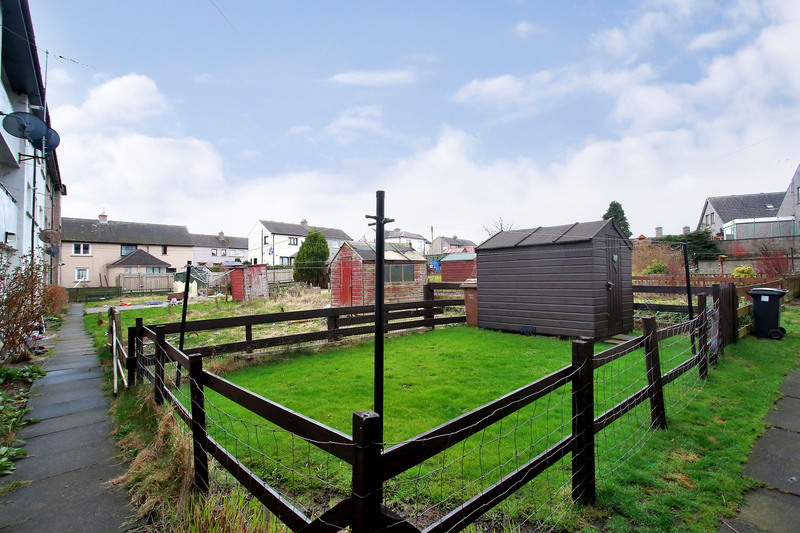 Outside lies a shared drying green and allotment garden exclusive to the property. 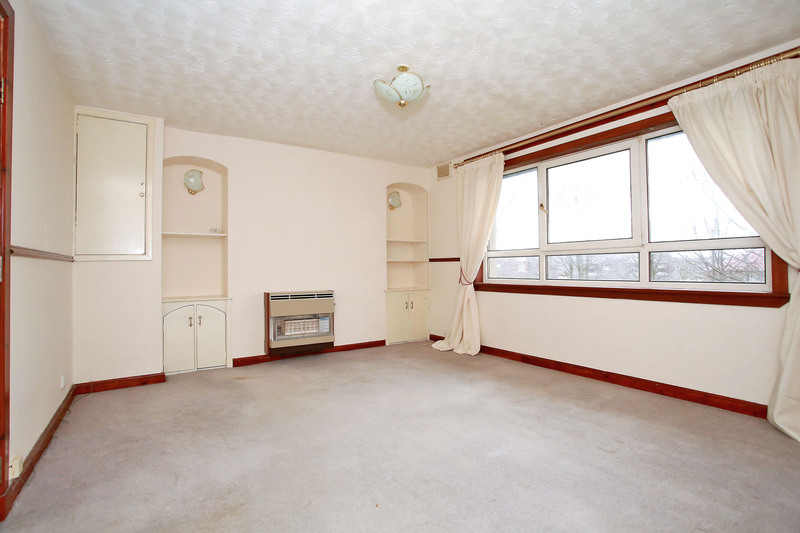 In the internal hallway there is an exclusive, lockable storage cupboard along with a shared balcony and further exclusive storage cupboard on the ground floor. The property is situated off Victoria Street close to the centre of the village with the area being well served by local shops and public transport facilities inducing an Asda Superstore. 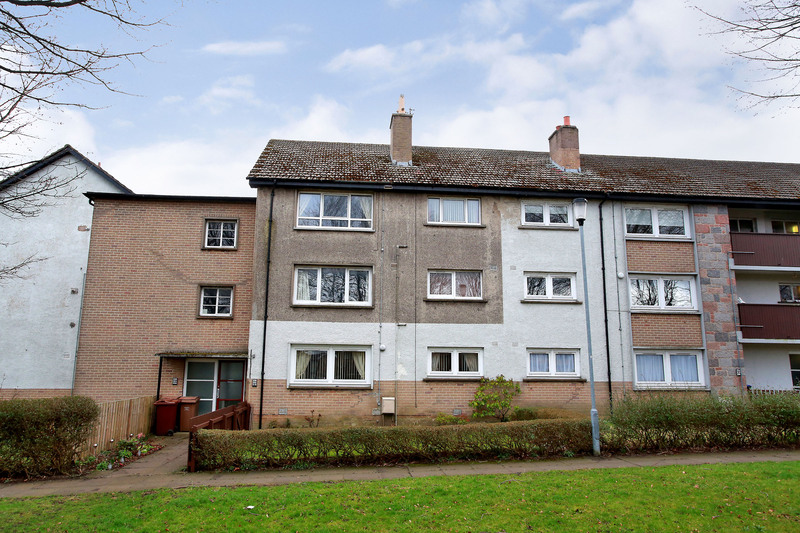 Good road and rail links to Aberdeen city centre are available and there is also good primary and secondary education. A wide range of sporting an recreational attractions are available in the area including salmon and sea trout fishing in the River Don and various 18 hole golf courses including those at Swailend, Newmachar where one of championship standard is located. 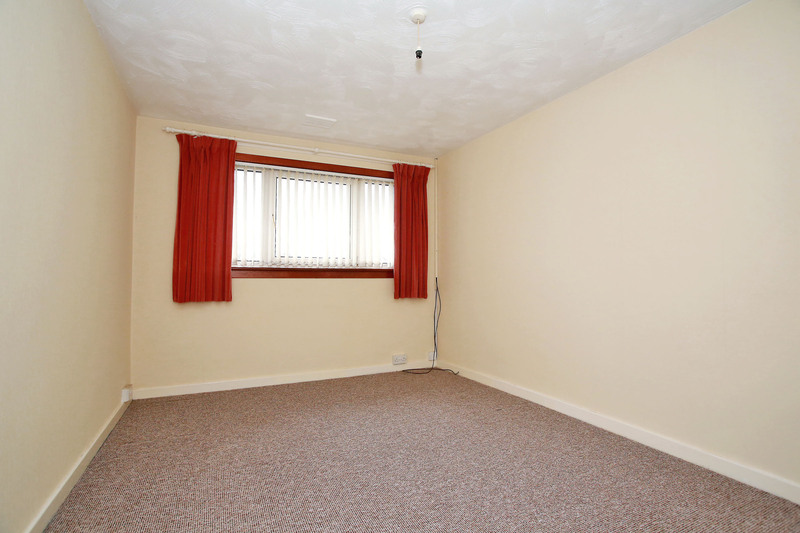 The location is also convenient for the Airport and oil related offices at both Dyce and Bridge of Don. DIRECTIONS On entering Dyce from the direction of Aberdeen, take the first exit at the roundabout next to the Marriott Hotel and continue straight ahead at the traffic lights onto Victoria Street. Take the tenth road on the right hand side into Liddell Place. The property is located on the right hand side.